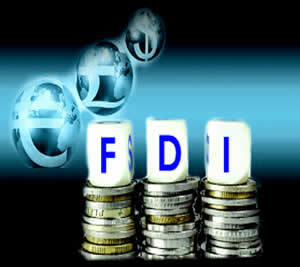 FDI stands for Foreign Direct Investment. Foreign Direct Investment is an investment into a country by a company located in another country. It can be done either by purchasing stake in a company or by expanding the operation of an existing company within the country. FDI has played a vital role in the economic growth of the country. The investments which is made by company is direct because the investor could be a foreign person, company or group of entities, seeking to control, manage, or have significant influence over the foreign enterprise. The foreign investor must own at least 10% or more of the voting stock or ordinary shares of the investee company. There are three types of FDI: Horizontal FDI, Platform FDI and Vertical FDI. USA is the world’s largest economy. FDI has many advantages for both the investor and the recipient. One of the basic benefits is that it allows money to freely go to whatever business has the best prospects for growth anywhere in the world. That is because investors aggressively seek the best returns for their money with the least risk. This advances the business run and gives it a competitive advantage.